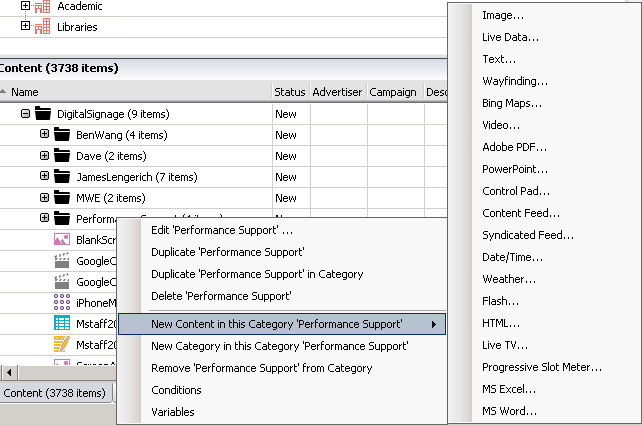 Right-click on your content folder and select New Content in this Category > Live Data. Warning: Tweets from individuals/topics are live data and may contain content that is inappropriate for your audience. Click More next to the URL field. Enter //item in the XPath field. 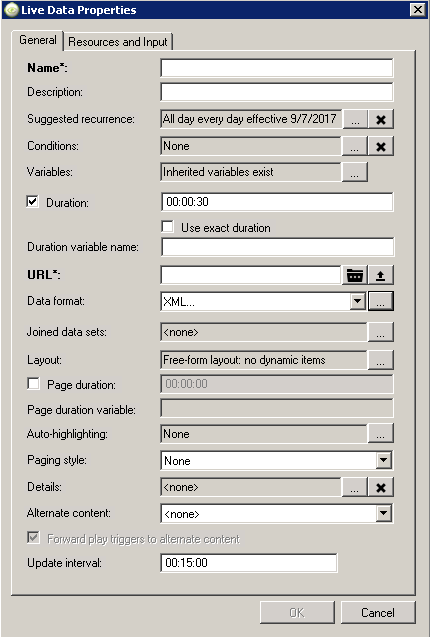 Drag-and-drop the new live-data content item from the Content library to the applicable region of your sign. Drag-and-drop the Title field onto your layout and adjust as desired. If applicable, drag-and-drop the pubDate field onto the Filters tab to set a date range filter.